Tito Jackson (right) put his arm around Sal LaMattina as they walked to their seats in the City Council chamber Wednesday. 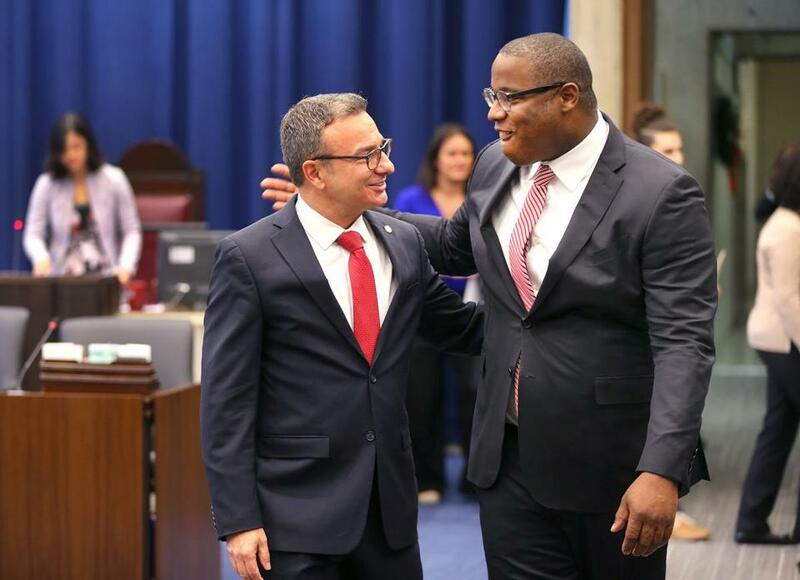 They were called stewards of all Bostonians: Tito Jackson, the champion for city youth, an advocate for education, and Salvatore LaMattina, a descendant of Italian immigrants, a proud son of East Boston. On Wednesday, they were celebrated with tears and cheers, and praised for their service on the City Council during their last hearing as councilors. Jackson vacated his District 7 seat, which stretches from Roxbury to the Fenway, in his unsuccessful challenge to Mayor Martin J. Walsh. 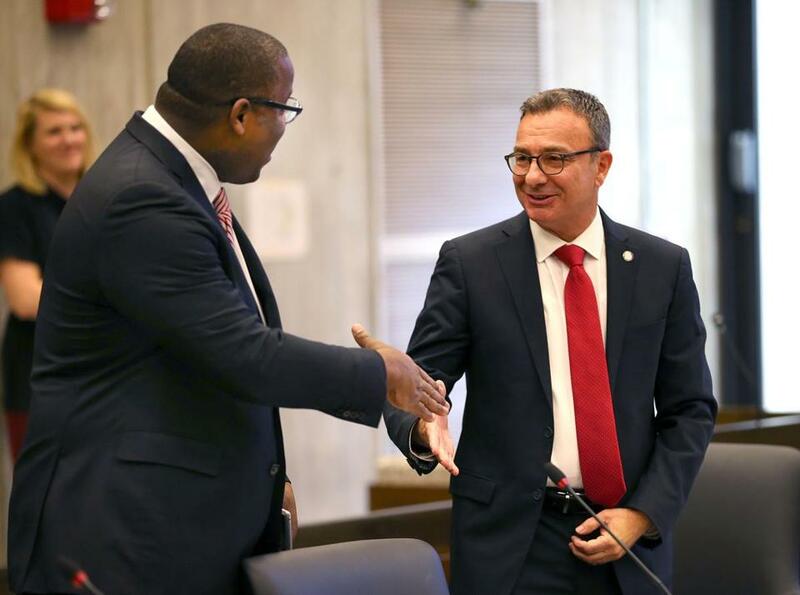 LaMattina, whose District One seat covers East Boston, Charlestown, and the North End, said he was simply stepping aside after more than 11 years on the council and three decades in government service. For several hours, their colleagues on the council heaped praise upon them. Walsh also made a rare appearance before the council and gave each a Paul Revere bowl, a gift modeled after those crafted by the famous American silversmith. After nearly three decades in public service, Councilor Salvatore LaMattina announced this week that he will not seek reelection. 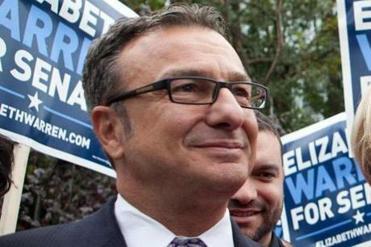 And he thanked Jackson for his work to “represent the people” and for challenging him in the election. “Thank you for your service for the people of Boston over the last six months, to elevate our conversation of what we can do as a city moving forward,” he said. LaMattina said he was proud of his work with three different mayors, starting as a neighborhood services worker under former mayor Raymond Flynn. “Our city is a better city when we work together; our city is a stronger city when we work together,” he said. Jackson challenged councilors to remain steadfast to their beliefs, in a speech as passionate as any he made during his monthslong campaign for mayor. “The work we do in this body, on this floor, is honorable. But I want all of us to understand we can do more. We have to do more,” he said, challenging councilors to scrutinize the city’s budget and school programs. Tito Jackson (left) and Sal LaMattina shook hands Wednesday.